Buran Ghati is also known as (Barua Pass) which connects Pabbar valley of Shimla district to Sangla valley of Kinnaur district Himachal Pradesh. 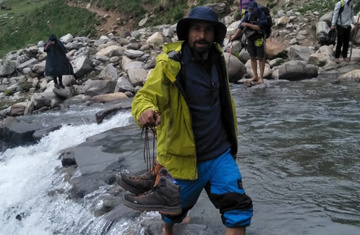 Although Upper Shimla region is not very famous among travellers for its trails/treks, but if one can manage to reach or speak to local or check out the geology of the place, you will find out that it is a perfect destination to explore unheard/unexplored trails. 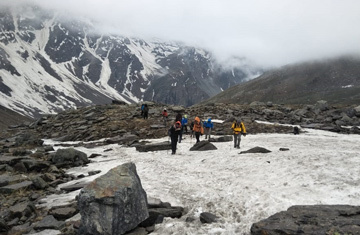 This less explored Himalayan pass trail let you experience dense forest, huge green alpine meadows, heritage villages of Pabbar and Sangla valley, waterfall, glaciers with picturesque view of Chandernahan Lake. 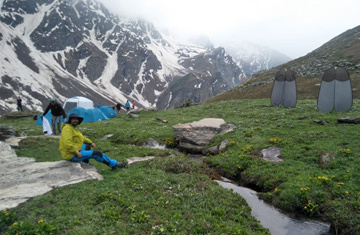 If you are looking for a complete action packed adventure in one trek buran ghati is the trek for you. 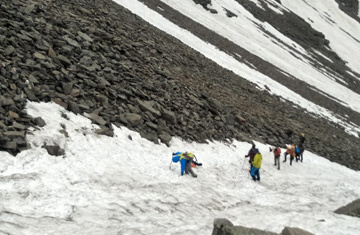 Base camp of this trek is Jhanglik village. Jhanglik is 6 hours drive from Shimla. Trek grade goes from beginners to moderate. The trail after the pass gets little tricky to descend so sometimes it needs rope for descending but most of the part can be covered by sliding down. Seven glacial ponds of Chandernahan are must visit while doing this pass. Trek ends in Burua village. 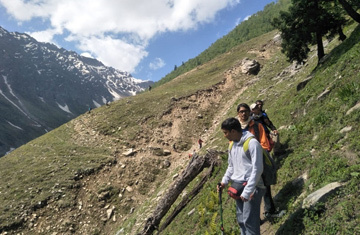 Skip to content Buran Ghati is also known as (Barua Pass) which connects Pabbar valley of Shimla district to Sangla valley of Kinnaur district Himachal Pradesh. Although Upper Shimla region is not very famous among travellers for its trails/treks, but if one can manage to reach or speak to local or check out the geology of the place, you will find out that it is a perfect destination to explore unheard/unexplored trails. 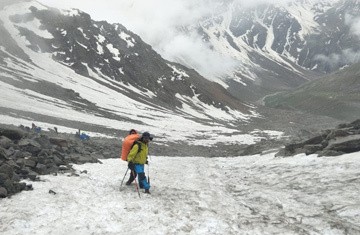 This less explored Himalayan pass trail let you experience dense forest, huge green alpine meadows, heritage villages of Pabbar and Sangla valley, waterfall, glaciers with picturesque view of Chandernahan Lake. 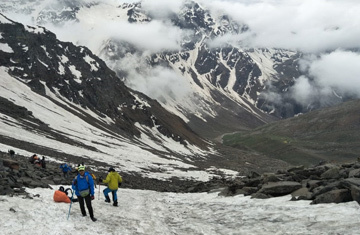 If you are looking for a complete action packed adventure in one trek buran ghati is the trek for you. 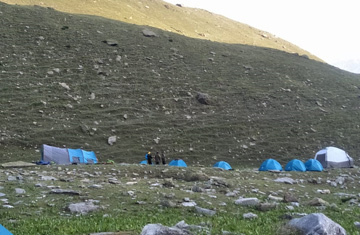 Base camp of this trek is Jhanglik village. Jhanglik is 6 hours drive from Shimla. Trek grade goes from beginners to moderate. The trail after the pass gets little tricky to descend so sometimes it needs rope for descending but most of the part can be covered by sliding down. Seven glacial ponds of Chandernahan are must visit while doing this pass. Trek ends in Burua village. Don’t forget to experience the breathtaking panoramic views from pass. Start from Shimla at 8:00 am after breakfast. Lunch in Chirgaon. Reach jhanglik at 3:00 pm. Welocme drink will be served at our campsite. 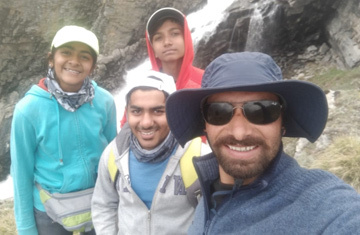 Introduction of our team and group introduction.Camping at jhanglik. First day of trek. Start at 8:00 am after breakfast from jhanglik. Reach Simar around 10:30. Lunch at Dayara. Over night camping at Dayara. Start from Dayara after breakfast. Reach Litham by 12:00 pm . Camping at Litham . Start from Litham early morning after breakfast. After sightseeing around lake area back to Litham and short trek to Dunda. Over night stay in Dunda . Rest day at Dunda. 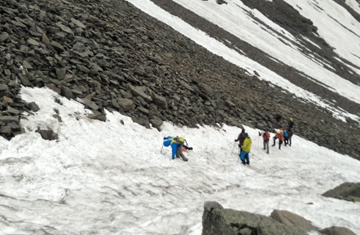 Pass expedition preparation and short training to all participants. All the information will be shared by trek leaders and guides to the participants. Day 6: Dunda – Burua pass – Muinirang. Start early morning after breakfast from Dunda as the much awaited day has come. Enjoy panoramic view while ascending the pass. Reach at top of pass and then Descend to muinirang campsite. Overnight stay at Muinirang. After breakfast at muinirang descend to Burua village of Sangla valley. Enjoy the the picturesque beauty of Sangla valley. Overnight stay at Burua village. After breakfast at Burua transfer to Shimla. Please carry eco bags or empty carry bags to keep the trash. Do not litter. Keep the place clean and safe. 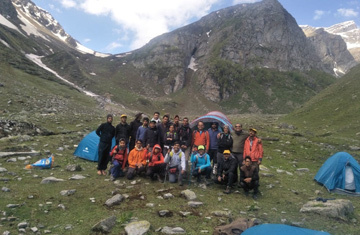 Trek Leader (Basic mountaineering course and certified from mountaineering institute Manali and Uttarkashi). 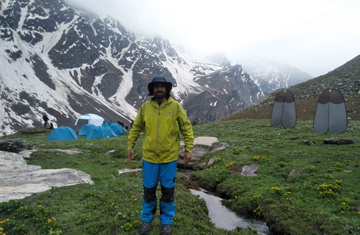 High altitude trekking equipments. Vegetarian meals (Breakfast/Lunch and dinner)Tea,Coffee,Soup,Fruits and Salad. Transportation through porters or mules. 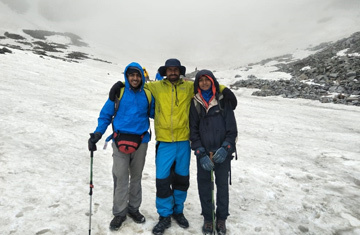 Basic knowledge about hiking and trekking from certified Trek leader and Guides. Sleeping bags,Tents (2men – 3men – 4men)(Quechua),Mattresses,Tent lights,Toilet tents,Kitchen tent,First aid kit. Transfer also available from Delhi to Delhi and Shimla to Shimla in 8 to 16 seats Traveller depends on group size. All tourist entry and permits. 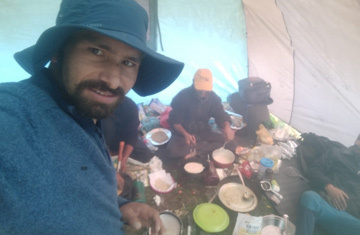 Trekking/Camping days include acclimatisation day,Campfire,Indoor and outdoor games, basic knowledge on Survival in wild,Acclamatisation,First aid,Food,Shelter management in Wild,Star gazing,Survival day or Survival night task can be given to participants only if they are interested. Positive HIMALAYAN vibes,Fresh air and fresh water. Any Extra food apart from mentioned above. Any personal expenses of participant. Any Health or medical insurance. Small Back pack to carry personal things (camera,Toiletries,Mobile and power bank) during hike. 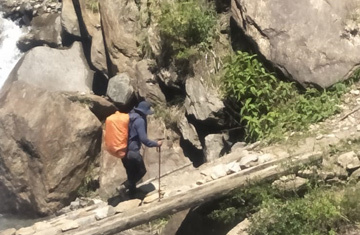 Alcohol consumption or any kind of other drugs are strictly prohibited during trek.